Home » »Unlabelled » Christian Girl Is Burned to Death by ISIS—But Her Final 2 Words Prove That God Wins! 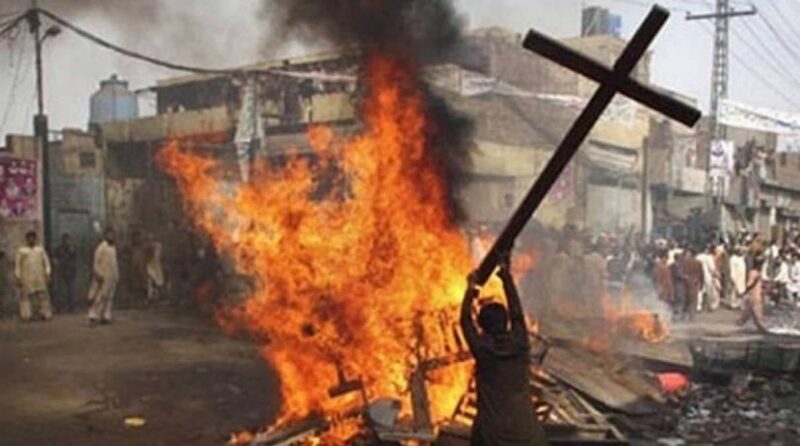 Christian Girl Is Burned to Death by ISIS—But Her Final 2 Words Prove That God Wins! ISIS militants torched their house while her daughter was in the shower—but just before she died, she left one powerful message behind. Living in a nation that is privileged with religious freedom, it is often easy for us to forget what it’s like to be brutally persecuted for our faith. When we think of martyrs, our minds readily reflect on biblical figures like James or John the Baptist, but the truth is that it’s still happening today. According to a report by the Catholic News Agency, one Christian mother from Mosul answered her door to a group of ISIS militants who said she must flee or pay a jizya tax, a penalty imposed by many Islamic states on their non-Muslim subjects. She only requested a few seconds to retrieve the payment, but they refused to give her the time. Instead, they immediately torched the woman’s house while her daughter was in the shower and burned her alive. I don’t know this young girl. She remained unnamed amidst the many brutal victims that were remembered in a New York City conference on Christian persecution. But she is certainly a hero of the faith whose final act of forgiveness captured the grace of Jesus Christ in a way that shook me to the core. I often struggle to forgive a harsh word or a wrongdoing by a friend, but how can I hold bitterness in my heart when she forgave her enemy while immersed in flames? What kind of love that must be. May the humble, Christ-like character of this child be a reminder to us all of what it truly means to follow in the footsteps of Jesus.